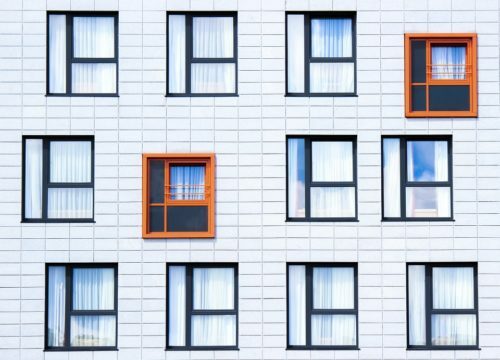 Searching for average or example prices for windows online can be very difficult, which is why we compiled all the information we could find from experts who know their stuff. Find the best information about window prices in our comprehensive article. We have organised the average price for different window styles in the following tables, and at the end, you will find some example prices. As a general rule, casement windows tend to be cheaper than sash windows which are the two most common window styles. For more details on different window styles and why one might be better for you over another, see our dedicated article on window styles. The following table explains casement window prices with one opener cost in different sizes and materials. 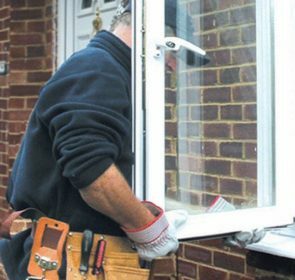 To get a uPVC casement window installed in your home, you can expect to pay between €200 and €1,000 per window, depending on installation costs, size, and specifications. Here we detail sash window prices in different materials. How much do casement windows cost vs sash windows? In this table, we compare casement to sash window prices in different materials. The cost of sash windows can range anywhere from €530 to €1,100 per window for installation plus materials, and getting this style throughout a 4 bedroom house would cost between €15,600 and €20,000. For a fixed uPVC window, you will pay €170 – €300 per window for a white finish, and between €195 – €330 for a woodgrain finish. For more information about bay windows, you can read our dedicated article about them by clicking on the link! Here we give some prices in different finishes and according to how many panels the bay windows have. 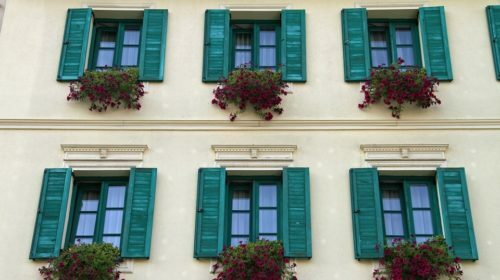 The price of bay windows depends on the number of panels and material used, but you will generally pay over €1,100 and up to €2,600 excluding labour costs. If you are looking to install double-glazed 5-panel bay windows, it will cost anywhere from €1,500 to €2,900 depending on the size of your home, excluding labour costs. If you would like to install 3 units of bay windows throughout your house with 5 panels each, double glazed, the cost will range anywhere from €4,500 to €9,000, again depending on the size and quality of the windows. Save up to 40% on your new windows! With so many variables that influence the final price of your windows, you would be justified in worrying about overpaying. No-one should pay more than necessary for home improvement services, which is why we offer a non-binding quote request that enables you to get up to 5 quotes from local providers within 2 working days. This way you can get started knowing the right price for the job. It only takes 1 minute, and could save you hundreds of euros! 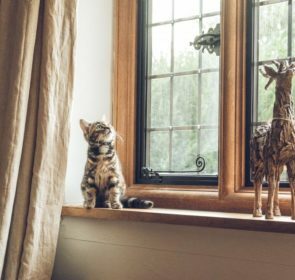 For a breakdown of the different window materials, see our articles about uPVC windows, wooden windows and aluminium windows. Generally, uPVC is cheapest, followed by wood and then aluminium. uPVC do wear out a little bit more quickly than the alternatives, and wood requires the maintenance that the others do not. 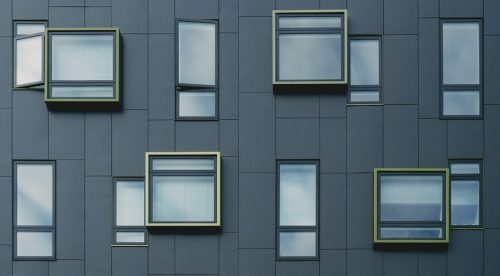 Aluminium windows are sleek, modern and low maintenance but are more expensive than uPVC and wood windows. This table offers examples of how much uPVC windows cost in different types of home, according to the number of bedrooms, windows and in the two most common styles (casement and sash). How much does one uPVC window cost? This table shows how much one uPVC window would cost in different styles and sizes. How much does a wooden window cost? The following table shows how much you can expect to pay for one wooden window without installation or special glazing in different styles and sizes. 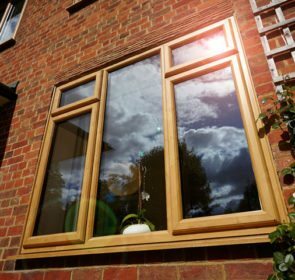 How much do double glazed wooden windows cost? This comprehensive table shows how much wooden windows prices will amount to. This includes installation and is organised according to home type, number of bedrooms, number of windows and window styles. 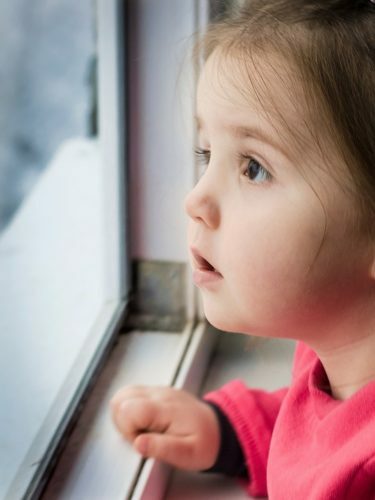 For instance, you have four single pane wooden casement windows that you want to replace to improve the comfort and energy consumption of your house. You can decide to maintain the aesthetics of your house by choosing a set of wooden replacement windows for an average total cost of €3,300. Alternatively, you can save money and go for the cheaper uPVC replacement windows that would have an average total cost of €2,000. 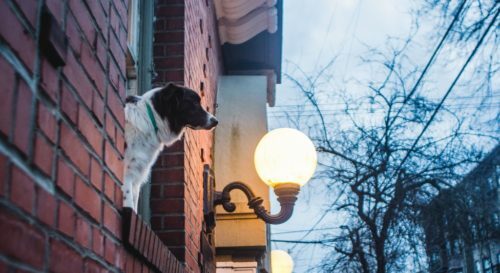 These estimates are based on the size of an average window and installation costs of window companies, so the actual costs for your needs may vary. This table shows how much it would cost to have aluminium windows installed in different home types, number of bedrooms and number of windows in a common window style – casement. *Sash aluminium windows are uncommon and we could not find average price points for these. What are aluminium windows prices in casement or sash? This table helps to compare casement and sash aluminium window prices in different sizes excluding installation costs. 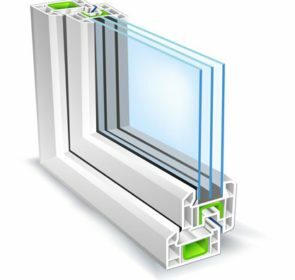 If your home has 4 windows that need replacing, you can expect to pay around €2,900 for double glazed aluminium windows, whereas, for a 10 window home, you will pay an average of €11,000. The type of glass and glazing you choose will have a significant impact on the final window prices. Click on our link for the dedicated window glass article for more information. Alternatively, you can read more about double glazed windows and triple glazed windows. What does double glazed uPVC cost vs triple glazed uPVC? This table compares the price of double glazing with the price of triple glazing when buying standard uPVC windows. This does not take into account size, style, installation costs or VAT. This table shows how much triple glazing would cost to be installed in different types of home with various numbers of windows – this does not include installation costs or VAT. How much do different glass types cost? If you are looking for special acoustic protection glass, you can generally add around €100 to the price of your window. Other types of glass such as mirrored, self-cleaning and other special coated glass will come at different costs. This depends on your window provider and their supplier. For such special requirements, speaking to a professional is the best course of action. We estimate that you will have to pay €40 more for a window with toughened glass. If you require laminated glass, the final price of your window will increase by €55 relative to the price of a window with standard A-rated glass. A specialist from Caddy Windows told us that they do not charge extra for different glass types. However, a casement window as described above would cost €400 for installation excluding VAT and €500 including VAT. Window prices will also depend on the size of the window you need. Of course, the larger the window the more expensive it could be. The two tables below explain how much two common window sizes cost in different styles and materials. How much does a 600 x 900mm window cost? How much does a 1200 x 1200mm window cost? At the end of the day, only a quote from a local company will be able to provide an accurate idea of what you will spend on windows. Through our online quote request form, you will get up to 5 quotes. This way you can compare and choose the best company based on your requirements. You are not obligated to buy, so why not ask the question and get the most accurate information? Take a couple of minutes and you’ll save up to 40% – that adds up when you’re looking to spend thousands!